If you’re looking for the perfect place to go for a romantic dinner in Bristol, there’s plenty of choice: loads of great restaurants where you can spend a wonderful evening with the love of your life. The ambience, food and music are all important when you’re looking for the ideal place to make some unforgettable memories with that special someone. And, even better, you can save money on a dinner date while acting a bit smarter. How about fetching an exciting voucher from Dealslands? It’ll give you the chance to plan an amazing dinner, without breaking the bank. The perfect choice for an intimate dinner date, Birch is a tiny yet beautiful restaurant which occupies an old shop in Bedminster. Bookings are limited to groups of a maximum of six, meaning no big crowds – and with delicious seasonal and local food on the menu, what more could you ask for? If you’re of the belief that sharing food is the secret to a great dinner date, you’ll find that Birch often serves main courses for two to share, such as a whole crab or a rib of beef. Perfect for those wanting a mesmerising environment – an evening meal at Lido lets you sit by the water, watching the lights from the pool flicker at night. Such a view doesn’t need to be expensive either – check both the Lido website and websites like myvouchercodes for savings and special offers. Michelin-starred restaurant Casamia is a great choice for a romantic weekday dinner – its tasting menus are the perfect way to enjoy a date if you’re adventurous and love to try new foods! Book a table, and you’ll discover some truly mouthwatering recipes. The whole concept of Glassboat is pretty romantic: this restaurant, set on a boat moored on the river, offers a lovely ambience. Don’t worry, it’s well-anchored too, so there’s no chance of losing your dinner! Book here for sophisticated French food with some great wine choices, accompanied with candlelight and beautiful views over the water. The place to enjoy a true taste of Spain! Bravas has become well-known for its take on Spanish classic, such as grilled Iberico pork, Padron peppers and more. Keep an eye on their social media pages for special events and dining deals too. Sound good? Don’t forget to check sites like vouchercodes.co.uk when booking your next romantic meal in Bristol – not only will you enjoy a great date night, but you’ll save yourself some money too. 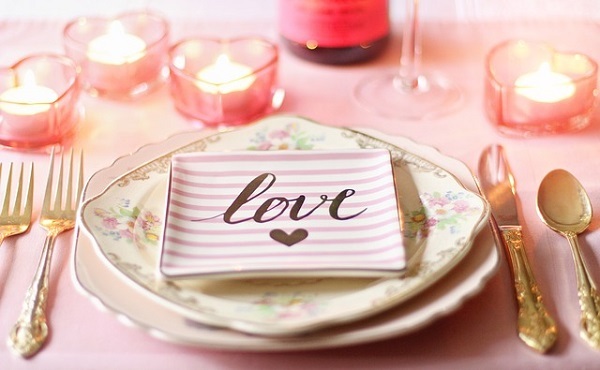 Do you have a favourite romantic restaurant in Bristol, or any tips for saving money on date nights? Let us know in the comments below!